The LFV1500/400 built-in electric fireplace is the first of its kind creating a perfect substitute for a linear gas fireplace. 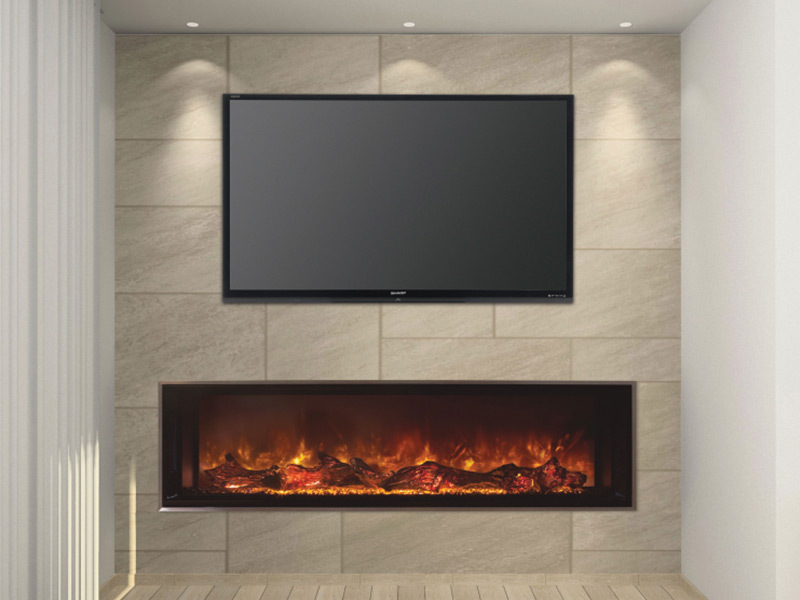 This unique frameless design allows for edge to edge flame presentation as well as well as unlimited surround capabilities. Available in 5 different lengths for any application needed. 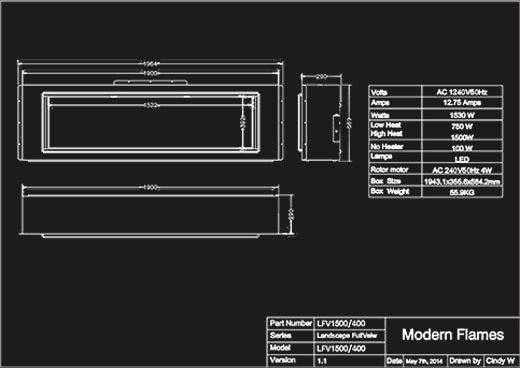 An optional 2 stage heater can be included for supplemental heat up to 42 square meters.